Nowadays I have evolved to be the roxysm of Ethiopian politics. Today while I was reading about development stories in Ethiopia, I bumped into an article which says eight million Ethiopians are in need of food aid. 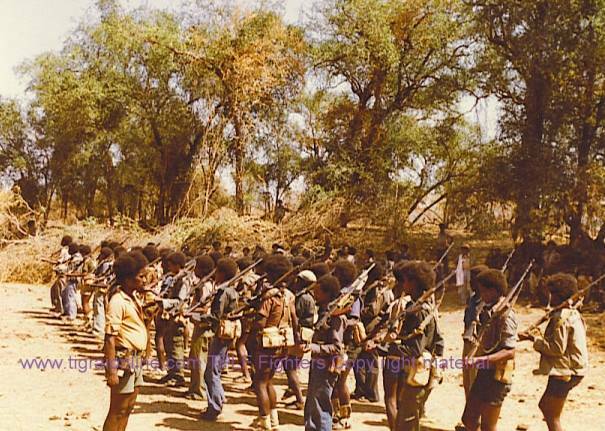 The story of Ethiopian famine, misery, backwardness, … appears not to come to an end. Ethiopian problems seem to be deep-rooted. The root of our problem is deep internalized oppression, repression. Repression normality conformed by our society. I think it is time to walk the talk. I am taking the liberty to voice my concern about the University called Mekele University. I have heard many stories about Mekele University. These include Nepotism in the University’s administration and services, corruption, repression or the absence of Academic freedom. Very recently I have read an article written by an American Professor from Mekele University. The American writer stated clearly the awfulness of Mekele University. From all my readings, it seems Mekele University appears to be different from the rest of Ethiopian Universities. Mekele University has become the center of repression. Basically an education institution is supposed to be center of new ideas, innovation, creativity, justice, impartiality, tolerance, high virtues… and a boiler plate of freedom. One will anticipate Mekele University to have satellite freedom and justice clinics everywhere at community levels at least in the nearby communities. However, Mekele University leave alone to be a beacon of freedom, justice, impartiality, equality,… for the society at large, we have heard many stories about this University of embarrassment, administrated by repression. My name is Melaku Tefera Gebreyesus. I was teaching at Mekelle University. I was full-fledged Associate professor. I was the first research and publication officer of the university. I established the faculty of veterinary science at Mekelle university and elsewhere in Ethiopia, several laboratories, farms etc. Before I joined Mekelle University I was teaching at Addis Ababa University, I was assistant professor, I have studied in France and Japan I could have lived abroad or stay in Addis, despite I was in comparative disadvantage joining young university with little resource, I was happy as I was contributing something to the region. During 17 years after I returned from France, I have never taken sabbatical leave even annual vacation. I was given no land or duty free cars .While even my recent students had chance to import cars. Despite I have teaching and research experience of 25 years. My slogan was quality education, productive and skilled citizens, innovation and diversification of field of study, rather than repetition of biology chemistry... through out Ethiopia! In addition I was contributing to my ability to other regional offices in Tigray. But Mekelle University administration is corrupt there is no academic freedom, they always plagarise my contribution. The region administration knows only few people others like me are silenced. I have been rejected several times scholarships and study leaves by the university. While other staff were enjoying such rights. Tigray is for all of us!! In brief I worked hard and I fulfilled the criteria for promotion to full professor which was assessed abroad by international professors and Ethiopian professors and approved by the faculty. I was denied this promotion. The criteria which was used by the Ministry of education, Addi's Ababa University, Awassa University, Alemaya University states to be a professor one needs "four solo authored publications in reputable journal" or "two publications and a text book". However, the Mekelle University legislation (I was involved as core team in drafting it) "four solo authored publications and two publications and text book!!!!!!"? ???? which is grammatically wrong either it should have been 6 Publication and text book it is an orthograph (Typing) error instead of and it should have been or. And I should have been promoted just like any other Ethiopian in Other universities. Finally they cut my salary for an act I did not committed, which clearly shows the autocratic dictatorial administration. I am forced to run from injustice. Now why do you cry for help??? What kind of person are you looking? It appears your plead is for naive Tigrians.I do not think that there is good ground for some one to go and serve. Honorable Prime Minister, when people do not agree with your ideology, you strip off their citizenship, dignity, integrity. This is exactly what you did to Siye Abraha. You stripped him his dignity, integrity, humanity and you enacted and drafted a new law overnight and you incarcerated him for six years for no good reasons and or the corruption charges you have failed to provide evidence. To take you back, when you first set your foot in the addis palace, you chased 40 University professors because they objected to your ideology. You also ejected your party members because they opposed your ideology. You also incarcerated Professor Asrat Woldeyesus and died in prison because he openly opposed your ideology. All these victims are because of your policy about Eritrea. Time has proved your ideology has been wrong and misguided. It did cost Ethiopians countless precious lives. Ethiopians are still dying everyday in Somalia and in Ethiopia as a result of your misguided philosophy and ideology. It sounds that as long as you are on power talking about development, the abnormality of dying Ethiopian has been conformed by our society as normality. The normality of the abnormality in our society. Honorable prime minister, if you really believe in democracy, you do not have any right to strip off the citizenship of our people. You have had now a long experience in all facets of life and work. If you are really a democrat, the Universities you are instituting like Mekele University should have not stripped off the right of our citizen. The above person stated that he had been committed for 17 years helping his citizen, but you or your colleagues threw him out and now he is France forced to leave his country. Honorable Prime Minister, when will your administration stop stripping off our people their dignity, integrity, and humanity? I can assure you, a repressed society can never develop. Believe me, the repressed explodes and blow apart. You talk about poverty being Ethiopia’s one main enemy. Let me tell you one thing, when one addresses a problem to solve the problem, one has to study the cause of the problem before starting to solve the problem. Cause and effect analysis has to be done. Then one can solve the problem by attacking the root cause of the problem to eradicate the problem. Even if one collect zillions of money and accumulates exaion tones of grains or food, one cannot solve the problem. Neither the buildings in Addis Ababa or somewhere nor Almouldi ‘s new hotel development or cement factories will not solve our problem. If you are talking about building, I think South Africa has the best buildings, I have seen many part of the world, and I have not seen fascinating buildings like In South Africa. South Africa has 10 multibillion multinational companies. The per capita of South Africa is the top in Africa by counting the few richest people’s money in the bank of the country and dividing to the people who never use that money. But the truth is that 90 % black South Africans who are about 95 % of the South African population are still homeless and do not have a proper house to live. The oligarchy in South Africa live the most luxurious life on earth, above any standard on the planet. The most affluent life style, their earthly paradise secured by high tech cutting edge electronic security and communication system. The majority of South Africans are treated like zombies. This is the story of the richest country in Africa. If you and your colleagues are chasing and throwing away the educated citizen who wanted to do a difference in their country whereas People like Mr Almouldi are having hundreds of companies, this type of development paradigm appears to be phony and you are only creating few riches and the majority poor. To wrap my message, I suggest you root out repression from out society so that you we can eradicate poverty, otherwise, rubbing out of the surface of the our problem without addressing our main problem will not solve our problem. In order to solve our problem, our society need to enjoy freedom, fairness, justice,… without any prejudices. I suggest the professor who is being kicked out of job must be returned to his work in due respect. Neither you nor your colleagues have any right to chase anyone or kick out citizens like this. You say there is a law, but you breach the law yourself before anyone else and you accuse other people breaching the law. You or your colleagues need to obey the law. Every citizen has an equal right with you. Neither you nor your colleagues have any entitlement to infringe the right of citizens arbitrarily as you or they wish. Everyone must respect the law. I suggest you deal with Mekele university so that we do not read all these repression stories.